Dr. Daisy Cortes graduated from the University of Illinois College of Medicine and completed her residency program at the Children's Hospital Orange County. 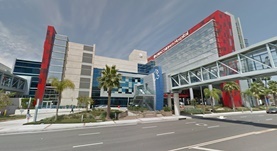 She also did a fellowship at the Children's Hospital Orange County. Dr. Cortes is specialized in General Pediatric Hematology & Oncology and board certified in Pediatrics. She has been in practice for more than 6 years and is affiliated with the CHOC Hematology Oncology.